"We are starting to see a wide range of IoT use cases across virtually all industries." The Internet of Things (IoT) will move toward mainstream adoption in 2016 for many industries, with businesses universally accepting the importance of its impact on enterprise. Although less than a third (29 percent) of responding organisations are currently using IoT, Gartner findings claim an additional 14 percent are planning to implement IoT in the coming 12 months, with an additional 21 percent planning to implement after 2016. In other words, the number of organisations adopting IoT will grow 50 percent in 2016, reaching 43 percent of organisations overall. In aggregate, the majority of organisations (64 percent) plan to eventually implement IoT. However, it is also important to note that another 38 percent have no plans to implement IoT, including 9 percent that see no relevance whatsoever in the technologies. “While there is near universal acceptance of the importance of the IoT, less than a third of organisations surveyed were actively exploiting it,” says Chet Geschickter, Research Director, Gartner. “This is largely because of two reasons. The first set of hurdles are business-related. “Many organisations have yet to establish a clear picture of what benefits the IoT can deliver, or have not yet invested the time to develop ideas for how to apply IoT to their business. Geschickter says industry adoption also varies widely with heavy industries such as utilities, oil and gas, and manufacturing leading adoption, and service-oriented light or "weightless" industries lagging. Gartner estimates that slightly more than half (56 percent) of businesses in asset-intensive "heavy" industries will have implemented IoT by the end of 2016, and approximately one-third (36 percent) of "light" or "weightless" will do so. 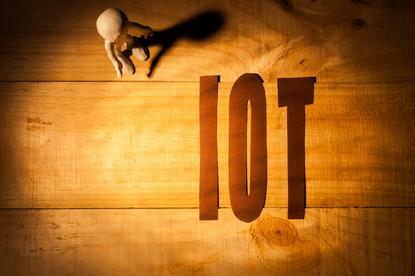 For those organisations that have already implemented IoT, the primary business case is internally focused, namely improved efficiencies, cost savings and enhanced asset utilisation (52 percent of total) versus the externally facing IoT benefits of enhancing customer experience or increasing revenue (40 percent). “However, we are poised for a marked shift in focus toward customer-facing benefits for planned IoT implementations, positioning IoT as a key competitive marketplace weapon going forward,” adds Jim Tully, Vice president and distinguished analyst, Gartner. The survey found that the biggest IoT technology challenges for those that have already implemented IoT are cybersecurity, integration and managing business requirements. However, orchestration of workflows and processes looms as a major concern for those planning to implement IoT. “2016 will be a very big year for IoT adoption,” Geschickter adds. “We are starting to see a wide range of IoT use cases across virtually all industries.